When you install Fernhill SCADA for the first time, a sample configuration is automatically loaded. Restore the backup taken in step 2, to undo the changes made in step 4. Note: The contents of the Recent Connections list may be different to the list shown above. 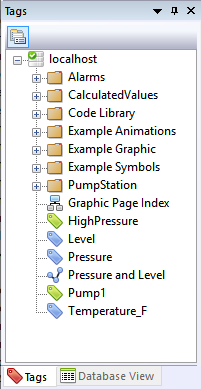 If the Start Page is not shown you can display it by clicking Start Page on the View menu. In the File name: field enter a suitable file name, for example "localhost"
See Backup and Restore for more information about backing up and restoring configuration. 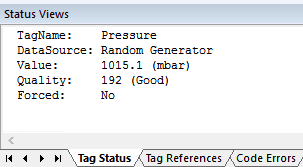 Note: Pressing the help (F1) key displays help about the tag type. The UpdateInterval in the default sample is set to 5 seconds (5s). To speed up the update rate enter "1s" into the UpdateInterval field, then click on another field to commit the change. Note: The configuration change is immediate. The Status Monitor Window will show the value changing every second. Many different tags use Interval and Offset fields to define when a timed activity takes place. 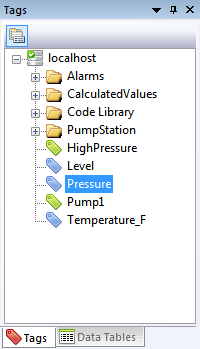 For more information on how to configure these fields see the article Interval and Offset Fields. In Fernhill SCADA the different tag types perform different roles. For example a channel tag handles a communication channel to a device. A register block tag represents a block of registers in a device. A data tag represents the state of a physical device (an indicator, or switch, or pump). Each driver provides its own set of tag types to fit the requirements of the devices the driver supports. For more information on the different tag types refer to the Driver documentation. In some circumstances you might want to restore the configuration to a known backup. Using the file browser select the name of the backup file you entered in step 4, for example "localhost"
On the Restore completed dialog, click Ok.
You could try one of the Autodetect Wizards to search for PLC or device, and then automatically create tags for the PLC or device. To learn more about the Configuration Tool. To learn about the Graphic Editor. 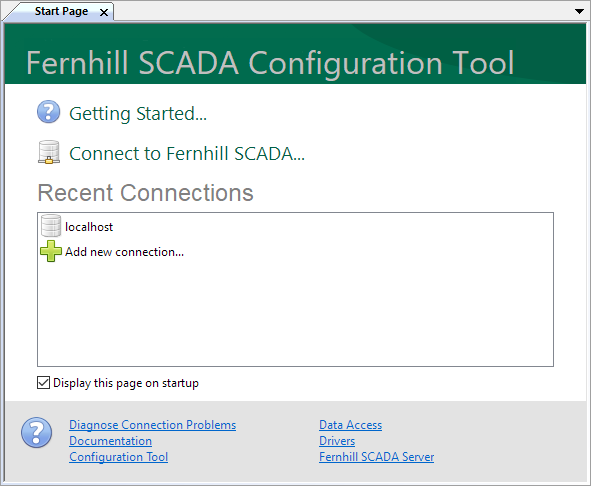 To learn about the different drivers available in Fernhill SCADA. To learn about integrating data into third party applications.